Do you have any loved ones diagnosed with ASD? 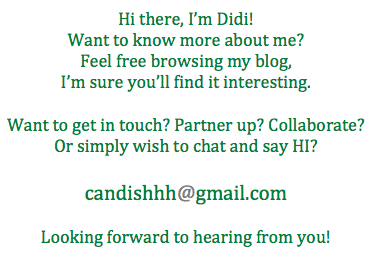 Do you know anyone who has a family member with ASD? would you like to know more about ASD and how to respond to people and families affected any this? Then this is the event for you. JCI Manila together with the Center for Autism and Related Disorders (CARD) is organizing an event aimed to raise autism awareness in the community called Golden Heart – Autism Awareness Fair to be held at the Midtown Atrium of Robinsons Place Manila on January 28, 2018. This is aligned with Proclamation No. 711 declaring the third week of January as the Autism Consciousness Week in the Philippines. The fair is designed to be fun and informative. 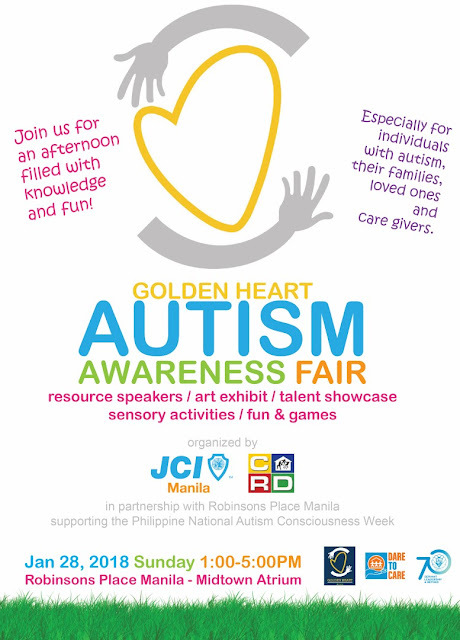 It will feature resource speakers from leading experts in the field of autism, an art exhibit and talent showcase from talented individuals with autism, a sensory activity area and fun & games for the kids. The event is open to the public especially to the autism community where everyone is invited to learn about autism and raise awareness in the community. Individuals with autism, their families, loved ones and caregivers are encouraged to drop by. Autism is a lifelong disability that prevents afflicted individuals from achieving their full potential. It affects about 1 out of 68 persons. Persons with autism have impaired socialization, communication and adaptation skills, delayed psychomotor development, abnormal response to sensory stimuli and peculiar patters of behavior. They seem to live in a “world of their own” and seek to find meaning in their confusion by insisting on routine activities and repetitive behavior. JCI Manila is a premiere leadership development organization. It is the organization where young men join to become better leaders. Dubbed as the University of Leaders, JCI Manila believes that it is through reaching out to others that you learn more about yourself. That is JCI Manila delves into an array of projects such as community development, business, government, environment and more. The unifying force behind these seemingly diverse projects is a group of young men who want to become better leaders. Center for Autism and Related Disorders, Philippines-Professionals for Autism Foundation, inc. (CARD, PHIL-PAFI) is a non-stock, non-profit education institution that is committed to improving the lives of individuals with autism, their families and caregivers by providing various programs and services which have proven to be effective in autism management. GIVEAWAY ALERT: Innisfree Skincare Samples!! Starbucks 2018: New Drinks & the Year of the Dog!